CDEA was conceived after one of its directors, who in her capacity as a member the Commonwealth Group on Culture and Development, participated in drafting the Commonwealth Statement on Culture and Development in 2009, and realized there was need for a civil society organization to be accountable to the promises they were making at international platforms at national and regional level. The statement urged Heads of Government, to recognize the connections between culture and development to take forward its recommendations through strengthened partnerships. CDEA was incorporated on October 19, 2011 and began its implementation in 2012 in Dar es Salaam, Tanzania. CDEA’s Culture and Governance programme was formed to respond to the need for civil society to engage in participatory governance. CDEA’s programme activities aim to mobilize and support civil society in East Africa to participate in evidence-based policy advocacy to place culture at the centre of human development. In 2015, after a strategic planning process, CDEA embraced both its advocacy and service provider roles. CDEA is now a creative think tank based in Dar es Salaam, Tanzania that facilitates multi-stakeholders to use culture as a resource to promote creativity and innovation supported by technology to solve the numerous social, political and economic challenges faced in East Africa. The creative think tank is also a hub where science meets art, and art meets other disciplines to innovate “out-of-the-box” solutions for this and the coming generation. CDEA’s work is aligned to the 2005 UNESCO Convention on the Protection and Promotion of Diversity Cultural Expressions and the African Union Plan of Action for the Cultural and Creative Industries. Our programming is focused around research, incubation and acceleration of the creative industries (fashion and design accessories, film and music), support of creative writers through our Writers’ Lounge and implementation of projects around peace and social cohesion, sustainable cities and tourism. In 2018, CDEA received consultative status from the Economic and Social Council (ECOSOC). Godfrey Madaraka Nyerere is the Marketing Director, JKN Hotels Limited, Butiama, Tanzania. He is also the Butiama Cultural Tourism Enterprise (BCTE) began operations in August 2008 from the village of Butiama and is part of a network of community-based Tanzanian organizations participating in the Cultural Tourism Program administered by the Tanzania Tourism Board, and working within the guidelines of the Cultural Tourism Programme of Tanzania’s Ministry of Natural Resources and Tourism. Ayeta Anne Wangusa is a writer, creative social entrepreneur with interest in the creative economy,cultural policy and sustainable cities. She is a member of the EU/UNESCO Expert Facility for 2005 Convention and a Steering Committee member for the African Cultural Policy Network (ACPN).She is the Executive Director of Culture and Development East Africa (CDEA. Ms. Rose Haji Mwalimu has over 23 years of experience in media practice. She is a seasoned media practitioner starting from sub- editor to National Director of a leading regional Media Institution of Southern Africa (MISA). 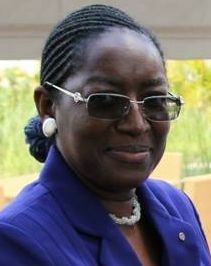 She is the Founder Chair/Member – International Women in Radio and Television (IWART), of Tanzania Chapter. Ms. Editrudith Lukanga is the Executive Director of EMEDO, an NGO advocating for Natural resources management. She has a dedicated commitment to hard work and achievement that contributes to broad based sustainable human and economic development of the people she serves She is also the is a Co-president for the World Forum of Hish harvesters and Fish Workers (WFF). Mr. Mgunga Mwamnyenyelwa a renowned theater practitioner and well versed expert in child and youth development through behavior change communication (BCC), culture and performing arts. He is the Executive Director of Baba Watoto Centre, a rights based organization in child protection, which captures a broad set of issues considered critical in child well-being such poverty, HIV/AIDS, healthy, humanitarian Crisis and cultural factors. 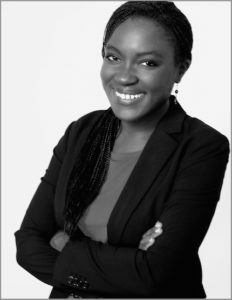 Gertrude Ngenda is a Research Fellow at the University of Zambia’s Institute for Economic and Social Research in the Urban development Research Programme. 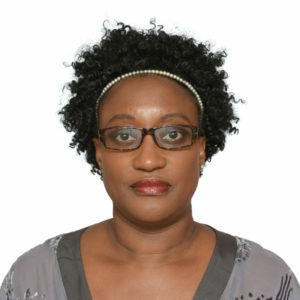 Gertrude has over 25 years of work experience in the Africa Region in Policy and Strategy Development, Regional and Urban Development and Environmental Sustainability and the living environment, delivering and managing projects and programmes as well as research and Development . Agnes Mungati Batengas is a Real Estate Consultant based in Dar es Salaam, Tanzania and specializes in the fields of Project Management, Project Finance, Value Management and Development Consultancy as well as providing advisory services on various matters related to Real Estate. Lydia Nyachiro Kasese is a writer, of fiction and non-fiction works as well as a media planner. Her first ever collection of short poetry was published earlier this year as a part of the New-Generation African Poets: A Chapbook Box Set. 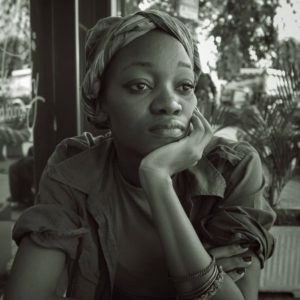 Her other works have appeared in literary websites as well as having been longlisted and shortlisted in literary awards such as Writivism and BNPA poetry competition. Sudi Mangara is the General Manager Ngome SACCOS Ltd. Other senior management positions held in financial institutions include, General Manager at Meru Community Bank Ltd Arusha, Branch Manager KCB (T) Ltd, I.C.B Bank (T) Ltd, and Department Manager CRDB Bank Plc. 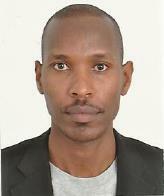 He has a Master Degree in Business Administration (MBA) from Open University of Tanzania, Master Degree in Banking (MSc. Banking) from University of Mons Calpe Business Management Academy in Switzerland, Diploma in Animal Production from Uyole Agricultural Centre and Certificate of Banking from Dr. Amon’sNsekela Bankers Academy in Iringa. 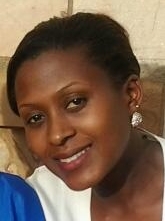 Elizabeth Mbabazi-Kagwa is an artist, fashion designer, art manager with diverse and commendable skills in contemporary art, fashion design and art gallery’s operations in Kampala and attained formal training from Makerere University and added cultural entrepreneurial training from the African Arts Institute in Cape Town, South Africa. Elizabeth currently manages the leading contemporary art gallery in Kampala; Afriart Gallery and also lectures Fashion Design at St. Lawrence University in Uganda renown for promoting entrepreneurship. John Bosco Kanyangoga is a Rwandan International Trade Lawyer and Independent Consultant specializing in International Trade Negotiations, Regional Integration, Trade Policy Analysis and Trade Related issues. He has a Masters Degree in International Transactions and Comparative Law (LLM) from the University of San Francisco, School of Law, California, USA in 2004. He also earned his Bachelor of Laws Degree (LLB) from the National University of Rwanda in 2000. Before launching into full time consultancy, John Bosco served as Director of Trade and Policy Advocacy for the Rwanda Private Sector Federation. Prior to this he worked as an expert on Regional Economic Integration and he was one of the key Rwandan negotiators that negotiated for Rwanda’s accession to the EAC. In his career of more than 14 years, he has been actively involved in major trade related negotiations that Rwanda has been engaged in bilaterally, regionally and at the multilateral level. He is also a member of the National Trade Policy Forum (NTPF) and among the lead technical negotiators articulating Rwanda’s interests in the EAC-EU Economic Partnership Agreement (EPA) and the COMESA-EAC-SADC Tripartite Free Trade Area (TFA). NanjalaNyabolais a Kenyan writer, humanitarian advocate and political analyst currently based in Nairobi, Kenya where she works as the Head of Programmes and Programme Coordinator for Democracy, Human Rights and International Dialogue for the East and Horn of Africa office of the Heinrich Boell Foundation. She holds a Class I undergraduate degree in African Studies and Political Science from the University of Birmingham in the UK where she received the Vice Chancellor’s Award for the Most Outstanding Undergraduate amongst other awards; an MSc in Forced Migration and an MSc in African Studies, both from the University of Oxford which she attended as a Rhodes Scholar, and a J.D. from Harvard Law School. An unapologetic post-colonial feminist, her primary interests are in conflict and post-crisis reconstruction, especially translating and incorporating the experiences of marginalised voices (racial, ethnic, economic or gender minorities) in the process of rebuilding societies. She publishes regularly in both academic and non-academic fora and worked on humanitarian and human rights issues with several international organisations. 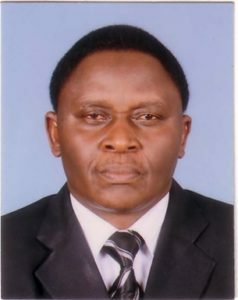 Gilbert Hagabimana holds a Master’s Degree in Law (LL.M) focused on Law of Regional Integration and East African Community law from the University of Dar es Salaam (Tanzania) and a Bachelor’s Degree in Law (LL.B) from the University of Burundi. 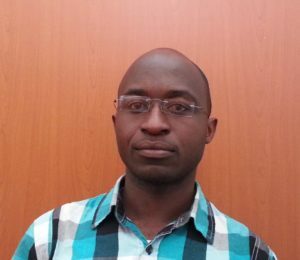 He is currently a lecturer at Martin Luther King University of Bujumbura and Hills University. He has a passion to see an integrated East Africa. To this end, as academician, his research area of interest is law of regional integration, East African community law and Human rights.